A photo booth experience for any occasion. We’re giving away a 2-hour photo booth event! We don’t care what the event is. Your wedding. A friend’s wedding. A birthday party. Heck, you could invite us over to watch a Blazer game and we’ll bring the photo booth with us. All we know is the winner of the giveaway gets a free 2-hours with Picstop PDX somewhere in the greater Portland area on a mutually agreed upon date. Tuesday morning (August 22) begins the contest that goes on for one week. After 7 days we will pick a name at random from the entries that are submitted and contact you to let you know you’ve won! The question remains – how the heck do I enter? 1. Follow @Picstoppdx on Instagram. 2. Tag 3 friends in our most recent Instagram post. Boom. That’s one entry. But there’s more. If you want to enter more than one time, you just continue to tag 3 more friends at a time. And still, there’s more options. If you’d rather go the ol’ Facebook way, then you can do the same thing via that social media portal. 1. Like PicstopPDX on Facebook. 2. Share our post about this contest on your wall and tag 3 friends in the post. Friends, this is not the second coming of the messiah. We have no discovered life on Mars. The Portland Trailblazers have not won their 2nd NBA championship. However, just after those 3 events, this is one of the greatest things that has ever happened and probably will ever happen to the Pacific Northwest. Please, spread the news and enter this contest. If not for yourself, then at least do it for someone you love. The fun thing about having a Portland-based Photo Booth is getting to see the same people over and over again. Say Paul and Jessica rent us for their wedding. Great! What’s even better though is when Karina and Max go to Paul and Jessica’s wedding, use the photo booth, get married a month later and rent us for their wedding as well because they had so much fun with the photo booth at Paul and Jessica’s wedding. Now add Russ and Alisha, a bridesmaid and groomsmen at Paul and Jessica’s wedding. Say they were not going to be married for 13 months from the date of Paul and Jessica’s wedding, and yet there was Picstop PDX, 13 months later, helping celebrate their special day. Now say none of that was hypothetical. Sure enough, in July of 2014, Paul and Jessica got married. August of 2014, Karina and Max got married. And now, August of 2015 here comes Russ and Alisha getting married as well. Picstop was at all three weddings! It’s fun getting to weave ourselves into people lives – we end up seeing people over and over again, and friendships begin. People that begin as our clients, turn into our buddies. As much as we love our photo booth, what we love even more is the people we get to meet through our photo booth – people who we get to celebrate; people who’s stories we get to tell; people who become our friends. Here’s to you Jessica, Paul, Karina, Max, Russ, and Alisha! 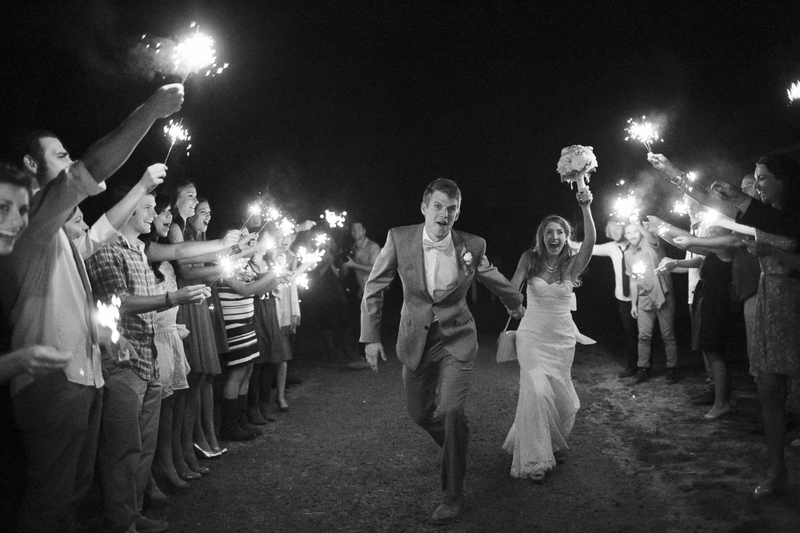 On the 19th of June, Matt and Savannah tied the knot at Bridal Veil Lakes in Corbett, Oregon. Picstop PDX was lucky enough to be part of the celebration. There was good food, dancing, marriage, more good food, more dancing, and a phenomenally sweet photo booth (we're biased). However, probably the coolest part of the night was returning to the scene where the dream of owning a photo booth rental company began. Bridal Veil Lakes holds a dear place in our hearts. Truth be told we attempted to get married there. However, through a series of unfortunate events, we ended up getting married elsewhere. Something tells me it was a good thing - we were scheduled to be married there on October 20th...and it's an outdoor venue...in Oregon...yikes. Yet, even more special than our failed attempt at getting married there, Bridal Veil is significant to us because it was there that Kate decided we would begin our own photo booth company. In the summer of 2013, one of Kate's best friends married a rad dude. The venue? Bridal Veil Lakes. This wedding had everything you'd have wanted: canoes, good food, dancing, Salt & Straw, an absurd view, warmth...and a killer photo booth. I don't know for certain, but I'd say Kate made her way to that photo booth some-3,000 times throughout the night. She couldn't stop. She loved everything about the photo booth. A few weeks later Kate approached me (Alex) with a thought - she wanted us to start our own photo booth company, from the ground up. Now, if you don't know me, I'm not the entrepreneurial, fly-by-the-seat-of-my-pants type of person. I'm a planner, not a risk-taker, and it took Kate quite a bit of convincing for me to buy into the dream. But I did, and 2 years later we have Picstop PDX, our very own photo booth company. So while June 19th, 2015 will always be the specialist of days for Matt and Savannah, it turned out to be a pretty special day for Picstop PDX as well, as we were able to work a photo booth event at the very place where the dream was birthed. I've heard graduating from dental school is no easy feat. I've heard each student puts in thousands and thousands of hours in the classroom, the lab, studying, practicing, and definitely not sleeping. With graduation just around the corner, years of hard work behind, and new jobs awaiting these students across the globe, there's really only one thing to do - PARTY! Last year as the OHSU Dental class of 2014 neared their graduation party, they reached out to us at Picstop PDX so they could have a photo both at their party. The party was a blast! After their final dental testing was complete, they were sure to make the most of the night. This year as the 2015 graduating class prepped for their party we received yet another email requesting our service. Once again we joined our future dentists as they celebrated the end of the journey. One of our favorite things about having a photo booth company is the way pictures can bring anyone from any walk of life into a silly, excited, eccentric camera model. Two nights ago I watched over a hundred people, all of who are leagues more intelligent than me, embrace their goofiness as they took their photos. In the last year, we've watched Russian grandparents who don't speak a lick of english give a smooch for the camera. We've watched babies light up as they see themselves on the live-view screen. We've seen awkward, high school couples take their photos, and ecstatic brides and grooms do the same. And now, for 2 consecutive years, we've seen our professional, stoic, brilliant dentists go crazy so the little photo strips that'll decorate their fridges are as memorable as possible. Thank you OHSU for including us as you celebrate. Thank you for renting this Portland photo booth. Thank you for busting your tail so we can have the best smiles possible. And most of all, thanks for reminding us that dentists, just like everyone else, love to set their inhibitions to the side for the sake of a good photo booth photo strip! Not A High School Dance, A High School Formal. On Friday, May 1st, we were invited to what we thought was a local high school's spring dance, probably Prom. Who wouldn't want a photo both for a high school dance, right? Little did we know, "dance" and "formal" are not synonymous in the party world. Horizon Christian High School doesn't do "dances," they do "formals." My naive self always thought a "formal" was a classy version of a dance. After all in my high school a "dance" was nothing more than putting hundreds of raging hormones in the school cafeteria and hoping for the best. It definitely wasn't very formal. I hated dances in high school. Now, 10 years later, I'm realizing what I needed - formals. Tables were set up throughout the gymnasium. For 3 hours, students ate, socialized, enjoyed the photo booth, flirted, watched some choreographed theater dances, played trivia, flirted, crowned a king...and didn't dance. What!?!? Imagine a world where high schoolers came together for a school celebration that didn't involve bumping and grinding. Horizon Christian, you are paving the way. The students were polite. Numerous times we were personally thanked for sharing our photo booth with them. One junior told us "we did a good job." A sophomore, who also happened to be a homecoming prince, thanks us for being there and helping them have a great time. Bringing the photo booth to high school dances (and now formals) is slowly becoming one of our favorite types of events. These students know how to have a blast, get funky for the camera, and restore our faith in humanity...which really wasn't depleted to begin with, but that sounded cool. Hats off to you Horizon, great formal! We're Blogging our Photo Booth, Baby! Why a blog? We want to share our Photo Booth story, duh. Years ago, Kate and I (Alex) tied the knot. One thing we wanted at our wedding was a photo booth. Unfortunately, we didn't have the dough to rent a photo booth. Instead, we bought a knock-off polaroid camera, nailed a sheet to a wall, threw together some props on a table, and did the best we could. After the wedding ended we found that no more that 10% of our guests took photos. We weren't devastated by any means. Our day was phenomenal (we did get married after all). However, the photo album we purchased to pack full of "photo booth" photos ended up looking rather bleak...bleak enough that it hasn't come off the bookshelf many times in 3 years. We know to this day that a high quality, affordable photo booth could have changed the destiny of that photo album. About a year later Kate was given the amazing experience of being the maid of honor in one of her best friend's weddings. The wedding was amazing, start to finish. Above all though, we were mesmerized by the photo booth. We came home with enough photo strips to cover the surface of our fridge. Within days, the creative, visionary mind of Kate had hatched a plan - we were going to build a photo booth. I'm a bit of a...kill joy. I'm one of those guys who wants a consistent job with a consistent paycheck. I admire and respect entrepreneurs, I just don't want to be one. Yet, here I was, watching my wife dream. Who was I to kill the dream? Kate dreamt of owning a photo booth in Portland that matched the quality of the best booths around, yet could be more affordable for couples, like us, who didn't have an endless wedding budget. Within months I found myself splintered from days of building. With the help of our friends who knew infinitely more about building and photography than we did, we owned a photo booth. By the end of 2014, Picstop PDX was a legal company and we had our first dozen events completed. We were thirsty for more. Now's the part where we grow our photo booth company. We want to continue blessing people with a photo booth to enrich their weddings, but not just their wedding. We want to enhance business events, birthday parties, school dances, graduation parties, and more. We want the great moments in life to be greater. So why the blog? Because we want to share those greater moments, from our perspective. Weddings. Business Events. Grad Parties. School Dances. Birthday Parties. You Name It - We're The Photo Booth You Need To Enhance Your Experience!